With the summer sun casting its red hot rays down upon the city of Chennai, it’s safe to say that things can’t possibly get any hotter this month. Right? We’ve decided to heat things up just a tad more this coming May with another edition of IndiEarth At The Park – IndiEarth’s monthly gig series that features forward thinking, independent musicians from around the country showcased here in Chennai. 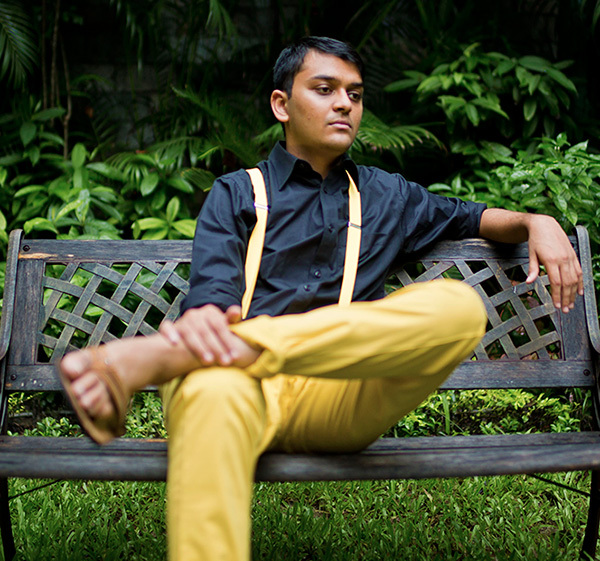 The upcoming edition features two acts – the duo of Nischay Parekh and Jivraj Singh, and DJ Sleepwalker. Nischay describes his music as “lyrical, lucid, and, playfully imaginative – a mix of classic pop sensibilities and kindergarten electronics. Everything comes out of boxes or keyboards, no computers!” A student at the Berklee college of music, Nischay hops between Boston and India and has released his debut album Ocean. His long time collaborator Jiver aka Jivraj Singh juggles as many beats as he does projects, including also playing with his family band Kolkata-based experimental/electronic rock outfit Pink Noise. The duo will play at Aqua on the terrace of The Park Chennai at 8:30 pm. DJ Sleepwalker hails from the coastal town of Pondicherry, and his sets revolve around hybrid forms of minimal techno, progressive, break and nu disco. He has played festivals around India and shared the stage with artists including Manuel De La Mare, Darren Emerson, Kid Creme and Juno Reactor, and will be playing at the Leather Bar at 9:45 pm. Much to look forward to this May! For more information, check out the Facebook event page here.